There are times and occasions when the Indian judiciary is hailed as the ‘sentinel’, and the protector of the civil liberties of the Indian citizens, as for example when the Court struck down Section 66A of the IT Act which evoked admiration and applause from the people at large, and there are also times- as for example when a case drags on for years at a stretch, when it comes in for flak and much criticism from the very same people- often unfairly, and without a proper understanding of the constraints and limitations under which our judges function. The reactions of the people to Salman Khan getting bail after being perilously close to landing up in jail 48 hours before is a case in point. Some of the reactions though have bordered on the extreme with laymen and high-profile socialites alike upset with the Bombay High Court order training their guns at the judiciary. The rationale and reasons given by the Bombay High Court were however lost on the people who had made up their minds as to the guilt of the Bollywood superstar and were therefore seemingly predisposed against Salman Khan. Within minutes of the news channels reporting that Salman Khan had got his sentence suspended from the Bombay High Court, people wasted no time in giving vent to their ire on social media sites- this possibly, without even having read the order in its entirety. The anger soon turned against the Indian judiciary itself, with people inter alia questioning the delays in justice delivery and the impartiality of the judiciary. Many were irked by the fact that while Salman Khan’s trial dragged on for 13 years, he got bail and his sentence suspended in barely 2 days after the pronouncement of the sentence by the trial Court. This was interpreted by many as proof of how the judiciary favoured the rich and well-heeled to the exclusion of the poor. Some even went to the extent of commenting that today would go down in history as a black day for Indian judiciary! Even if one were to admit that those critical of the delays in justice delivery have a valid point- notwithstanding the under-funded and over-worked institution that the judiciary is, the tone and tenor of the comments of people reacting to the Bombay High Court order, in general have tended to be uncharitable towards the judiciary in general, and some, even positively too vituperative to be reproduced in the columns of Live Law. Even as India’s judiciary has come in the line of fire following the culmination of the 13 year long trial of Salman Khan and his enlargement of bail by the Bombay High Court, inter alia, for the delays in justice delivery, a judge of the High Court of Kerala- Justice A. Muhamed Mustaque has been winning plaudits for his extra-ordinary speed in disposal of cases and efficient manner of dispensing justice which has been relief-oriented. Assigned vacation duty, Justice Mustaque sitting in Court 1A of the Kerala High Court on Friday was faced with a roster that had listed over a 600 cases spread across Admissions-Part I, Admissions-Part-II, Petitions and Company Matters, with the last case being listed as item 864. Even accounting for the fact that this was a vacation sitting when the number of filings are generally on the higher side, today’s list was something of a record. Most advocates were bracing to see their cases being either automatically adjourned to the next date of sitting (next Tuesday) or even after vacations with little chance of being called in view of the humongous list- the likes of which had not been seen in the High Court of Kerala for some years at the very least. But much to the astonishment of lawyers, Justice Mustaque sat till well past 4:30 P.M.- the time when the sitting comes to an end, and called every single case till item no: 550 and even thereafter, took up matters of urgency mentioned at the Bar, heard the lawyers patiently, and passed appropriate orders. From morning till evening on hot and humid day when the air-conditioner stopped functioning, and lesser mortals would have flung up their arms in exasperation having to sit in an increasingly stuffy atmosphere, Justice Mustaque remained unflustered and sported a smile even at the fag end of the day. The feeling of admiration for Justice Mustaque which could be sensed among the lawyers assembled in his Court today is hard to describe in words. It is not just the fact that he was willing to sit beyond the usual court hours- many judges of the Kerala High Court don’t mind doing so when the situation warrants, as for example during vacation sittings- but the manner in which cases were called and dealt with by Justice Mustaque. Sworn in as an additional judge of the High Court of Kerala on 23rd of January, 2014, Justice Mustaque has made rapid strides and won the affection of the members of the Bar with his friendly demeanor towards one and all alike, unique style of relief-oriented justice delivery coupled with rapid rate disposals. At a time when people find fault with the judiciary in general for the snail’s pace at which cases are heard and finally disposed, Justice Mustaque stands out as a rare exception with his ‘jet-setting’ speed while in the process, ensuring that justice does not become a casualty. No lawyer who has appeared before Justice Mustaque would complain of getting a raw deal or being cut short in his arguments but readily acknowledge the speed with which Justice Mustaque understands the case and the point for determination which enables a faster adjudication. 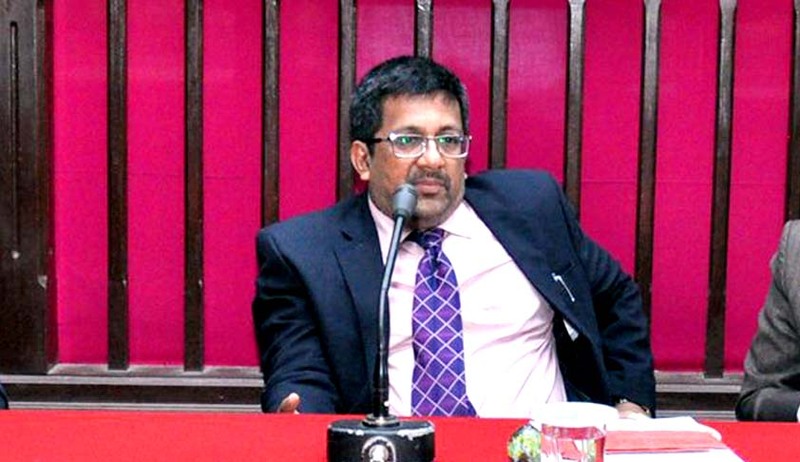 Technicalities, which might make other judges frown and dissuade them from entertaining or granting relief in writ petitions, have never come in the way of Justice Mustaque in dispensing reliefs to the extent possible to the litigant- his another facet , which has endeared him so much to the High Court Bar. It is not unusual to see him disposing off large number of matters at the admission stage itself, which at the hands of another judge, might have been left to languish in the Section awaiting its call for the next posting or final disposal, weeks, if not months later. It can be safely said that in his jurisdiction- whichever be the one he may be exercising at a given point of time, files are rarely made to gather dust, and litigants can be secure in the hope that cases won’t be dragged on for eternity. of the time of the Court in that jurisdiction, and there is usually no time for the Court to take up the hearing list, but even that ‘trend’ was broken by Justice Mustaque. When some lawyers of the Kerala High Court remark, tongue in cheek, that the huge list of cases before Justice Mustaque today was purely because he was sitting and was not a happy coincidence or pure accident, it reveals clearly why he has become so popular among the members of the High Court Bar today. Living in times like these, when even the judiciary is also not spared from the barbs of people, the example of Judges like Justice Muhamed Mustaque of the High Court of Kerala needs to be highlighted; they show that all is not lost; that that this institution is far from decay and decadence; and that, within the very many limitations within which it functions, it is still possible to deliver justice for the prince and pauper alike- with the same speed and impartiality. Justice Mustaque stands out as a perfect example of a judge who has managed to ensure speedy disposal of cases without compromising on quality in justice delivery.